The Angolan government has introduced a series of reforms to the upstream sector over the past year in an attempt to mitigate the rapid decline of existing fields. However, the rebound of the deepwater sector in Africa’s second largest oil producer still needs time, says GlobalData, a leading data and analytics company. 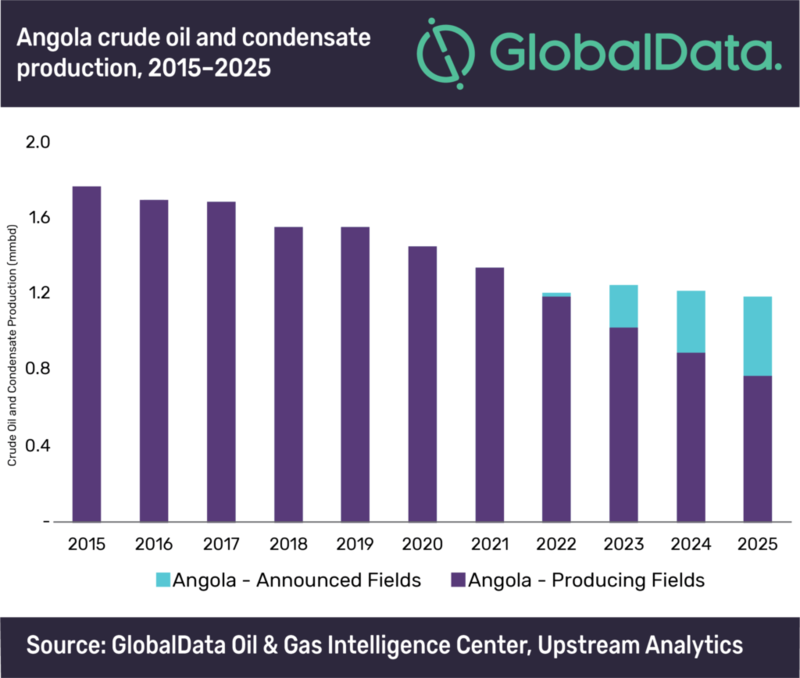 Since the crash of oil prices in 2014, Angola’s oil output has tumbled due to natural declines of mature fields and the lack of investment in new projects. The current production level of 1.6 million barrels per day (mmbd) of crude oil and condensate is a 20% drop from the peak production of nearly 2 mmbd in 2008. Over the short to medium term, production is forecast to continue to decline through to 2025, with a further 25% drop to around 1.2 mmbd. Gearing up to the upcoming licensing round at Angola Oil & Gas Conference and Exhibition in June 2019, which will be the first tender for exploration rights since 2011, and creating an independent upstream regulator are also key parts of the reforms to revive Angola’s upstream activities. Angolan President Joao Lourenco announced in August 2018 the creation of a new independent upstream regulator, the National Oil & Gas Agency. This move is aimed at breaking the dominance of Sonangol by taking over the management of the country’s concessions and activities. The government aims to capitalize on the surge in exploration around the world and attract domestic, regional and international explorers and independent participants to diversify investment and participation in the upstream sector.